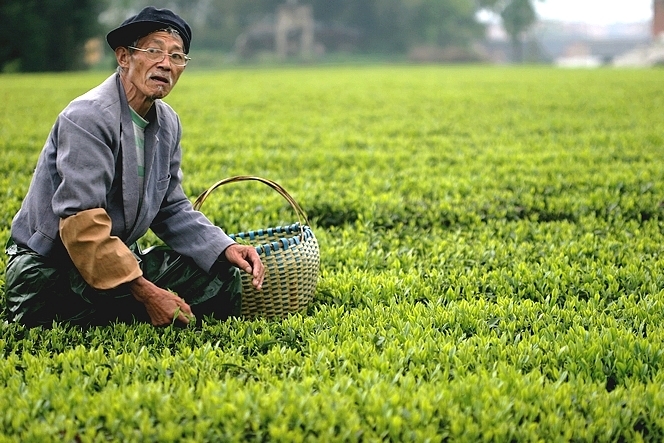 In different regions of the world, tea pluckers put on a wide cloth tube around their arm to protect their sleeve. A Camellia shrub proves to be quite tough and could easily widen a stitch of a fabric or simply tear a hole in it. This Chinese countryman I’m photographing unawares at work wouldn’t deny this.